Sign up for Broadjam today to follow R.X. Bertoldi, and be notified when they upload new stuff or update their news! 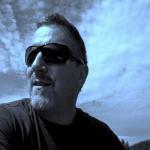 Powerful lyrics mix with soulful tunes and vocals to make these bluesy and rootsy acoustic songs both catchy and memorable. 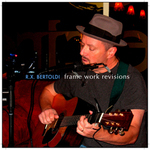 Bertoldi's second CD release, "Frame Work Revisions" is a live recording cut one evening in an intimate local wine bar. His well-crafted songs have been recognized for their rootsy hooks and descriptive lyrics by major songwriting competitions, including the Billboard Song Contest, the John Lennon Song Contest, Unisong International, and American Songwriter Magazine Lyric Contest. This tasty set of modern folk and blues contains four previously unreleased originals and songs by the Rolling Stones, Bob Dylan, Willie Dixon, and the Faces' classic "Ooh La La." 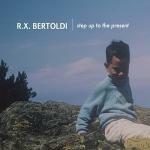 Like his hat drawings on the CD jacket and liner notes (and as the album title indicates), Bertoldi's originals and carefully-chosen covers offer a range of perspectives on modern times--homelessness, mental health, relationships, fatherhood, courage, and death. His acoustic guitar, vocals, and harmonica (along with occasional "cafè noise"), make "Frame Work Revisions" an engaging night at the local bar with a mature, reflective performer and songwriter.